Published on April 8th, 2019 by Baptiste Gr. While VR is experiencing a resurgence unlike ever before, many seem to think that it is strictly limited to gaming. Nothing could be further from the truth! In point of fact, professional VR training can help your organization achieve faster growth by arming employees with hands-on experience instead of just theory that needs to be refined with trial and error in the field. The advantages of adopting commercial VR training are numerous. For starters, you can simulate real-life situations that are just as good as the real thing, without risking training-related injuries. After all, direct experience is still the best way to learn. Also, the quality of education that you can impart in VR far surpasses any current technology that we have. Since professionals in healthcare are tasked with people’s well being, they need to be armed with the best knowledge and experience possible. VR and AR are proving to be revolutionary new tools for training doctors and nurses in modern medical practices. While students are used to practicing on mannequins, with VR based training, they can practice in an interactive animated environment that responds to their actions and corrects them when needed. BioFlightVR for instance is an interactive VR and AR software that let’s healthcare students carry out complex procedures on virtual dummies, all while a virtual instructor observes and instructs them. 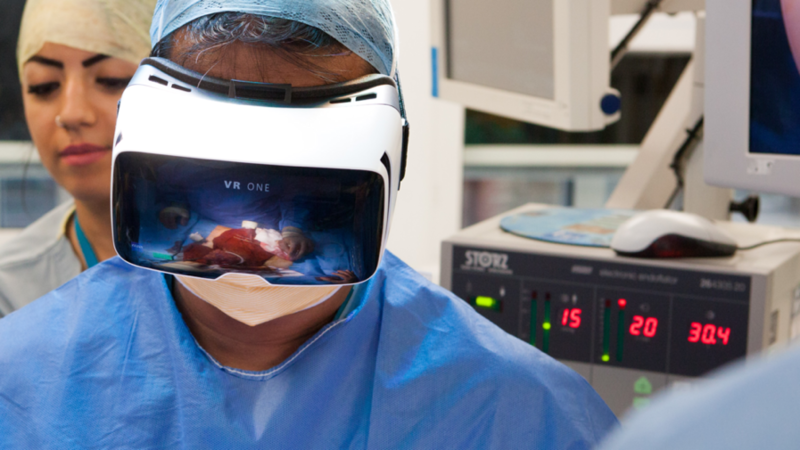 The fact that trainees can perfect their skills by practicing procedures again and again without endangering the lives of patients is a huge plus point that VR brings to the (operating) table. Read more about VR healthcare training. Flight sims have been used extensively to train pilots, however, unlike the regular “cave simulators,” VR based training with 3D cockpits and 6 degrees of movement freedom can completely immerse a pilot in the situation. So realistic can the experience be that trainees may even forget they have a headset on after a few minutes! Even desktop based simulators such as DCS World and MS Flight Sim offer very compelling training material inside VR, and professional grade simulators are better still. AR-based flight simulators push the envelop even further. For instance, Aero Glass is an AR flight assistant that can train pilots while helping them fly better with the aid of a HUD inside a pair of goggles. Finally, many traditional commercial flight sims often cost more than the plane itself. VR based simulators cost a fraction comparatively, while being compellingly immersive, giving them a decisive cost to benefit advantage. We have more than enough Youtube videos of forklift accidents at warehouses to admit that training operators are a real and present issue! All too often operators will travel at fast speeds, carry excessive loads, backup improperly, park the forklift wrong and cannot communicate with nearby forklifts. All of these can easily contribute to workplace accidents and given the huge loads that forklifts and excavators carry, a risk of grievous injury is always high. The US Occupational Safety and Health Administration is recognizing that VR forklift training and certification can assist operators to get a better idea of how to run a forklift properly. 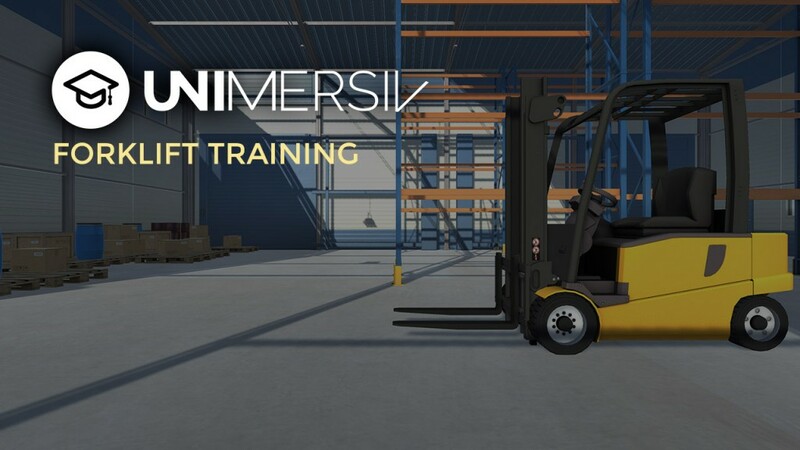 Unimersiv’s VR Forklift training program and the VR Excavator Trainer can help your operators gain the knowledge and confidence needed to operate heavy machinery properly and without incident. The high-stress environment that soldiers operate in demands that they are given the best training possible. A little-known fact is that the military has been using off the shelf video games as training tools since the 1980s. For instance, the US marines used a modified version of Doom 2 to teach basic combat tactics to new recruits. The game America’s Army that came out in 2002 was used as a training and recruitment tool by the US military, too. With VR technology becoming more prevalent, the military is poised to take this idea even further and train their operators through highly realistic simulations. Everything from armored warfare, to parachute drops and even battlefield tactics, can be taught thru VR. As training (and the cost of implementing it) is a relevant theme that touches every industry, it stands to reason that VR has the potential to revolutionize how we learn for the better. Think about it, how awesome would it be if you could teach your team to work on heavy machinery so accurately that they can walk into the facility with complete confidence and perfected skills right of the bat? Given that the cost of VR hardware and software is constantly falling, we wager that industrial training in VR will become a driving force for change and innovation. The future belongs to companies that realize the opportunity and take action today.